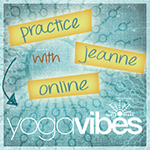 Come join Jeanne in a Master Class of Vinyasa Yoga mixed with Pranayama and other Tantric techniques to melt away the heaviness of winter so that you can start to see your own inner light of goodness. Kapha is the Ayurvedic Dosha of strength, heaviness, darkness and stability. When it is balanced, we embody the beauty in each of these qualities. When it is in excess, we can become depressed, fatigued, sick and not able to complete a simple task. By the end of winter, we have accumulated the indulgence of the holidays and the time in-doors, and it can now wear us down. 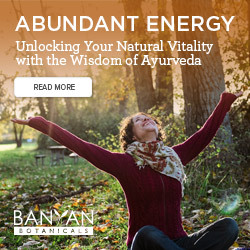 In this fun Master Class, we will do a strong practice that heats your body and ignites a fire in your belly to burn the negative tendencies. We will end with a meditation to keep you focused on your own inner strength through the rest of the winter. Most importantly, we will have fun exploring the healing qualities of yoga!